Don vorry Bubalah, I’m not goink anyvere’s. I never “left”, I just didn’t want to tie up your journal thread with ugly arguments and I could see that was where it was going. I’m at work now, so I’ll have to join in the fun later…see ya around. Hey J, start of the week, Daily fractal, put your levels on the EUR/USD. starting with 10/6 as the bottom, Double Top 10/12, as your top. The draw the mean, best not to trade during the mean. draw the levels out from 10/6 8 more days, and on the 16th day draw a vertical line. Interesting had you entered at the close of the double top, 10/12 .1847, you would have had to hold through a 40 pip or so retrace, but it would be paying off now. OK, but which of the Majors merits buying and holding overnight, or even for 16 hrs. In another place, logic has provided a stop at 1.1726 ! Hopefully my daily chart below posts correctly, I accidentally did it a different way than usual. I am SO computer illiterate! Anyway, I know we talked last week about how GBPUSD has been trending up for the past year, so that is basically what the monthly chart shows - i’m not going to link that here. No red flags there that I could see. On the weekly above, we see that this year long uptrend is a possible flag pattern (unless it’s a reversal and just keeps going). I’ll find a good link to explain flag patterns and post that soon, but basically - if price breaks (bearish) out of that ascending channel, watch out for major drop ahead. I drew in what that might look like. But we don’t know that it is going to do that, what we do know is that it’s been trending up for a year - so you have that going for you. On my daily chart below, I drew in a bunch of arrows basically showing that if you get in at the bottom of a channel or the top of the channel, price will very predictably rise or fall (this is the ideal spot to get in). If you get in the middle of the channel, you may have to sit through some price fluctuations - though overall, price should continue rising in your channel until it breaks out one way or another. .
I’ll have a look at those other pairs tomorrow…don’t want to give bad info tonight because I am getting tired. Two days off for me! Woo hoo!!! The draw the mean, best not to trade during the mean. I am not sure what this means… am I drawing a line that hits the mean of each day’s price range? Just keep going… I am at that spot where I might think I know something but don’t really know something. First of all, the art of reading price action applies to all charts (currencies, commodities, indices) so doing it well is in my opinion what makes a trader good. I certainly can’t argue with this statement. I am a pure technical guy - I think that there are a lot more intelligent people out there than me that are already trading on fundamentals and making the market respond appropriately. As long as I am not trading at the exact same time as a news release or other fundamental event then price should already factor that in. Hey J, the question is, does the current market in the majors lend it’s self for swinging? It looks like the AUDUSD and GBPUSD pairs are good for swings right now. They both are showing directional bias, at least I am seeing it that way. It is true that no one is going to get rich trading such a small account within the normal recommendation of 1-2% risk exposure - but I don’t think that should be your prime motivation at this stage. I anticipate this to take around 10-12 years to achieve. My current cost of living is $65,000 per year, and without debt, that would be around $40,000 per year. I anticipate using my stock dividends to put food on the table, keep the lights and heat on, and cover basic living expenses. I anticipate using my trading profits for luxury items: new cars, travel, recreation land (I enjoy hunting, camping, and hiking), and earning a doctoral degree in business administration. I guess I will get slapped by many others here for saying this, but I don’t really think one needs to be overly rigid with these risk percentages on a small account provided one is aware of what risk is actually involved. I mean, what are we talking about in real terms - $10-20? I am currently capping my demo trades at $20 margin used on an account with 20:1 leverage. I think that means the most I can lose if stopped out is $20. Ok, now that the weekend posts have all been responded to, time for the trades! I went long at 1.33082 with a 100 pip trailing stop loss. Position size is 300 units which represent $20 in margin used. This trade is currently -11.6 pips. I went short at 0.78784 with a 100 pip trailing stop loss. Position size is 500 units which represent $20 in margin used. This trade is currently at +7.9 pips. Thanks everyone for taking the time to read and participate in this thread! I very much appreciate it! on your GBP/USD, did you look at the hourly?, and Mean is just the middle, draw the high and low lines from the beginning of the top or bottom, whichever comes first, extend it out 12-16 periods on the daily, and put the Mean, or middle in also, and draw it to match the high and low, in length. In fact the daily and weekly don’t look that great. then the EURUSD is currently above the mean of the current low to high move that you pointed out. on your GBP/USD, did you look at the hourly? No… I suppose that explains why the trade is moving against me. I looked now, and I see a double top pattern completing at 10/13/2017 and price is now consolidating. 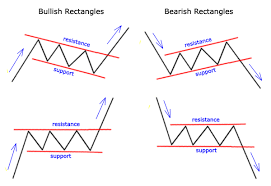 Range, especially Daily or Hourly generally means swing traders beware. Yes, context on all fractals, if you are holding a swing, this might mean you might have to hold through a losing couple of days till price/time breaks your way. It does not have to mean you should get out immediately, it depends on your psychological tolerance of holding through a loss. Loss x Time + Your Psychology, only you can determine that. Since EURUSD is in range and at the mean, I sit on my hands. If price was at the top of the range, I would wait for price to either move towards the mean or above the top of the range. If price goes above the range, a long entry would be reasonable. If price moves towards the mean, a short entry might be reasonable with stop loss above the top of the range and a profit target at the mean. If price were at the bottom, then reverse the above. yes, and I might add, you could take profit as price moves below the mean, or above, as it gets closer to the top or bottom. I think this is actually starting to all make sense now… I might actually be learning something! Also withing the range you will find Micro Trends that can be traded. Like 1 hour range and then 15/5 min trades following the 1 hour trend within the range, again, the most profitable will be at the extremes of the range in the opposite direction, least profitable will be around the mean, even on the smaller fractal. So I could start at the daily chart, plot the high and low of the range, then pop down to a lower time frame and take a trend continuation or counter trend trade? For example, let’s look EURUSD. We know it is in range on the daily chart, and let’s say I am looking for quick trades with tight stop losses because I am trading a smaller account and I want to have a larger position size. On the 15m chart, the price is looking like it’s starting to trend up and away from the mean. Price looks like it found support at around 1.1784 and then moved to 1.1817 before retracing back down to 1.1797. Price has now moved back up to 1.1816. At this point, I feel like there is going to be a slight retracement before another bullish move. I say that because price tested another resistance level at around 1.1819. I could wait for the retracement and enter say at around 1.1804 (assuming price does not go below 1.1797) with a stop loss at 1.1772 and a profit target at 1.1880. Assuming this is the only trade on a $2,000 account and my maximum risk is 2% I can risk $40 on this trade. I have a total of 31 pips of risk between projected entry and stop loss, allowing me to trade 1 full mini lot. This means that I would have a pip value of $1, leaving $31 risk with a $75 reward. Is the logic here sound? Bravo, exactly. The problem with letting fundamentals get in your head is that it influences where you think price should go rather than just looking at the reality on the chart in front of you. Very important and I’m glad you get that. I wasted a whole year getting deep in to all that, and thinking stuff like ‘if xyz economy is wrecked and their country is in tumult, why is their currency not dropping like i expect it to’ and blah, blah, blah - performance-wise that was my worst year of trading. Hey J, the only thing the mean is good for is to stay out, yes it might move up away from the mean, or down away from the mean, but your high probability trades will be shorts at the top and longs at the bottoms. I have done this for a long time, now mind you, your last trade out of the range will be a loss. Also I recommend while you are learning, 1 to 2.4 k units only, that gives you plenty of room to make mistakes, and learn live. $.10 to $.24 a pip allows for a nice long smooth learning curve.